Buying for others, or even yourself sometimes, can be tough. With so many games releasing daily it can not only be hard, nigh impossible, to keep up with it all, it is even more difficult to know what might be the best bang for your buck. It is my hope that the following guide will provide a smorgasbord of RPGs for all walks of nerd life, and act as a means of easing you into the holiday shopping season this year. Alas, one can only play so many games, and a list can only be so long, so that’s where you come in to the picture. Please share your thoughts and recommendations below for everyone to see. View the entire list of these games on Switchlist! My Take: CHASM is the closest thing I’ve found to the Castlevania RPG experience since, well, SOTN on PS1 and the DS Castlevania entries. It received a bit of backlash by the community due to some disappointment with the random generation system, as well as not feeling as fluid or tight as many recent Metroidvanias do. My theory for the latter is because it mirrors that of an older Metroidvania game, and invests much more deeply into its RPG mechanics rather than solely relying on fast-paced, flashy action sequences for fun factor. 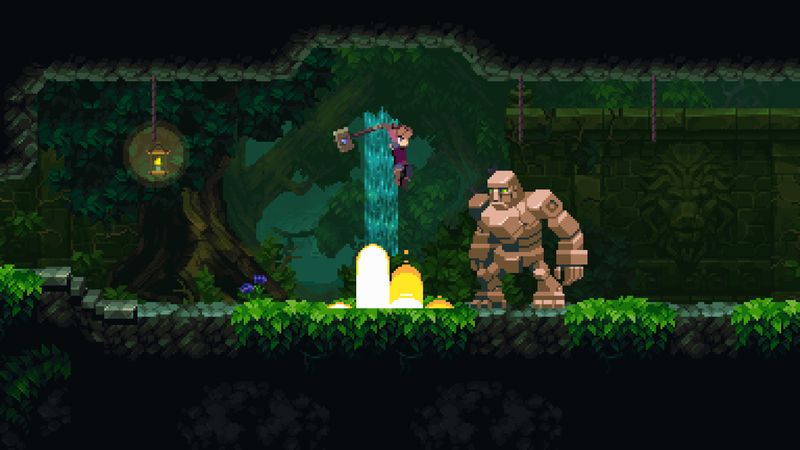 If you look at it with those points in mind, CHASM can easily offer many hours of content to those looking for more RPG in their Metroidvania. My review of CHASM is available to read here. My Take: Despite not being those most complete or enjoyable package on this list, Mercenaries Saga Chronicles, without a doubt, is the most potential bang for your buck amongst its competitors. It is a compilation of three individual games that could easily give you 50-60+ hours of gameplay combined, though it obviously lacks the polish of games like Final Fantasy Tactics, Fire Emblem, and Disgaea. But if you’re looking to get your TRPG fix for cheap, look no further than Mercenaries Saga Chronicles. 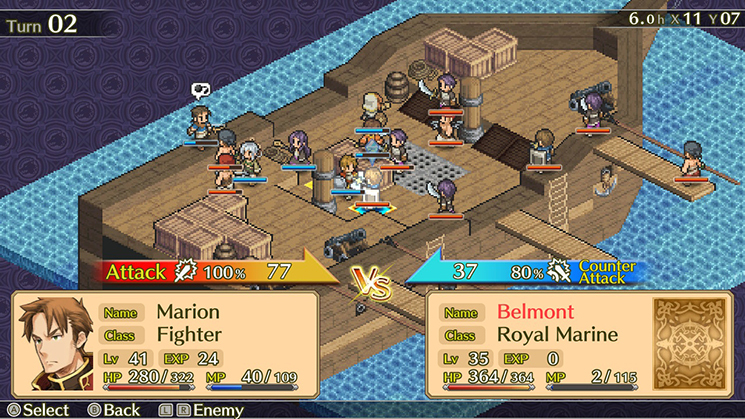 My review of Mercenaries Saga Chronicles is available to read here. My Take: Dragon Sinker is easily one of the best KEMCO RPGs to land on the Switch to date. Yes, it has microtransactions and can totally be pay-to-win if you want to throw money at it, but it is absolutely unnecessary to even glance at the cash shop. 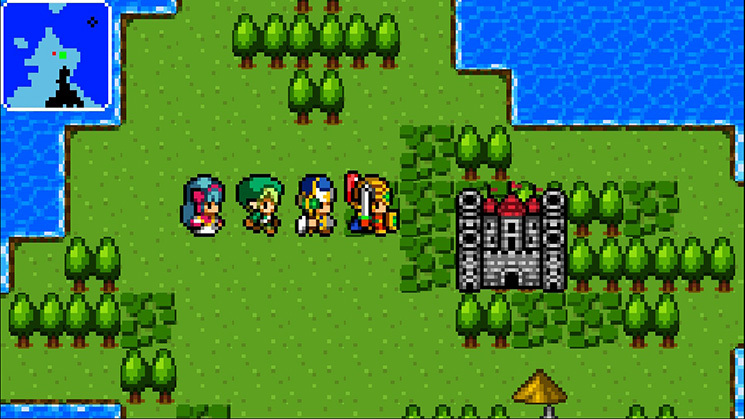 It features an aesthetic and score that hearkens back to the glory days of RPGs, when a mere handful of pixels were used to make an entire tree and chiptunes were king. It also features a robust job system that should keep you engaged for quite some time. You can read our review of Dragon Sinker here. My Take: Stardew Valley is like a gift that keeps on giving. There are so many things you can do in this life simulation game that it makes an age-old series like Harvest Moon look laughable in comparison. It is a content-rich experience that has the potential the provide hundreds of hours of gameplay for those that really get invested into it. 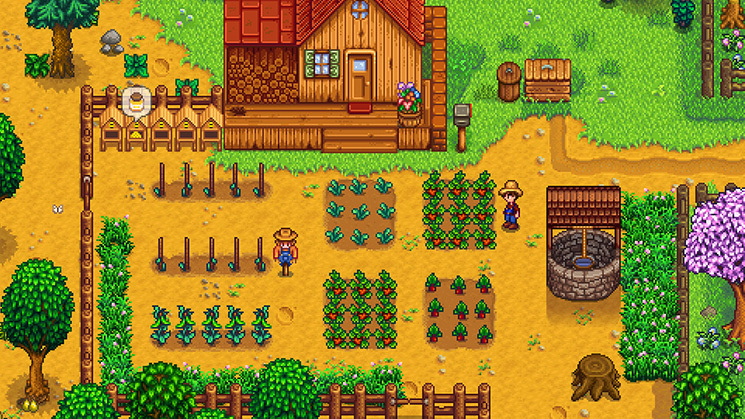 Whether you like building relationships, managing a farm, delving into mines for treasure, or just want to kick back and fish for a while, Stardew Valley is the pinnacle of life simulation for a very low price of entry. My Take: I think everyone wanted Golf Story to be great, but nobody really imagined it be the success story that it became. 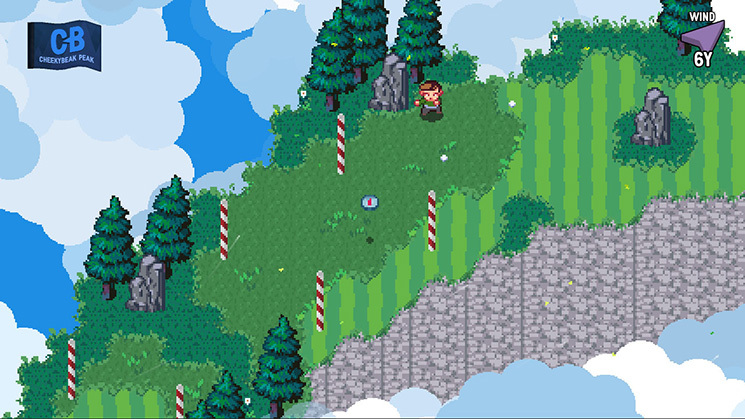 It blends common RPG systems like gear, leveling up, and a decent story with solid golfing mechanics. In many ways, it is very similar to the Camelot Golf RPGs of years past, maybe too much so for some people. However, it doesn’t change the fact that it is legitimately a good time for sports and RPG fans alike. My Take: EARTHLOCK is another title that probably doesn’t get the recognition it deserves. Having suffered from a disastrous initial launch years ago under the guise of EARTHLOCK: Festival of Magic, Snowcastle Games went back and completely overhauled the game and re-released it under the title, EARTHLOCK. While it still has a few issues here and there, it is one of the better games on the Switch that feels like a late 90s / early 2000s western-styled JRPG. Those that find themselves nostalgic for that time period have much to enjoy here, with its great soundtrack and beautiful, unique visuals. 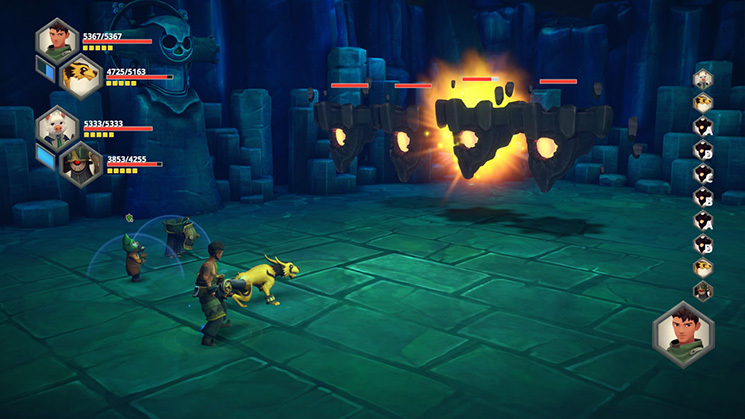 My review of EARTHLOCK is available to read here. 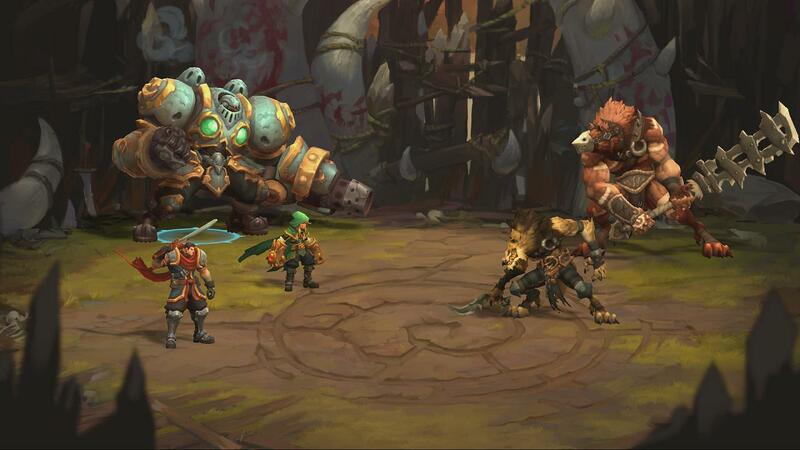 My Take: Battle Chasers is a prime example of traditional turn-based combat done right in an RPG. Even the most trivial encounters are thrilling because there is a certain “impact” behind every attack that makes each round meaningful, and potentially dangerous for both yourself and the enemy. The level of combat finesse present simply does not exist in many games of the same flavor. Not only that, the visuals and sound design are an absolute delight although the underlying performance can be a concern at times. It is definitely one to keep on your radar, especially if you happen across it while it is on sale. My review of Battle Chasers is available to read here. My Take: If you know me, you know I’m not the biggest fan of anime. So, when a heavily anime-influenced game comes along that I rave about, you know that it is something special. 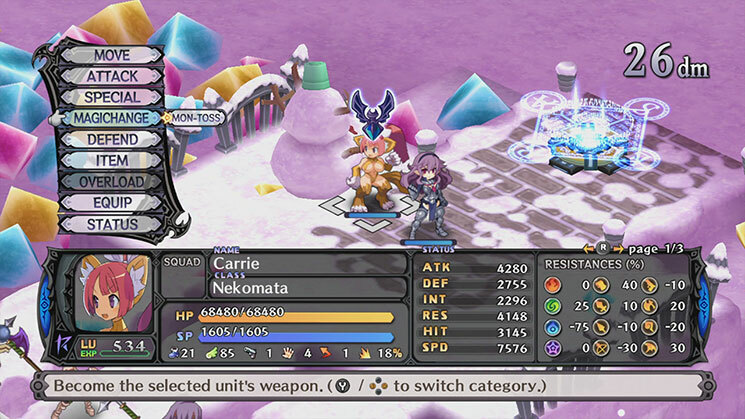 Disgaea 5 Complete offers loads of fun to those that dig grid-based tactical combat. While still not my favorite graphically, Disgaea 5 still manages to please the eye by way of its drastic and varied combat animations. You don’t want to miss this one if you are a TRPG fan. My review of Disgaea 5 Complete is available to read here. 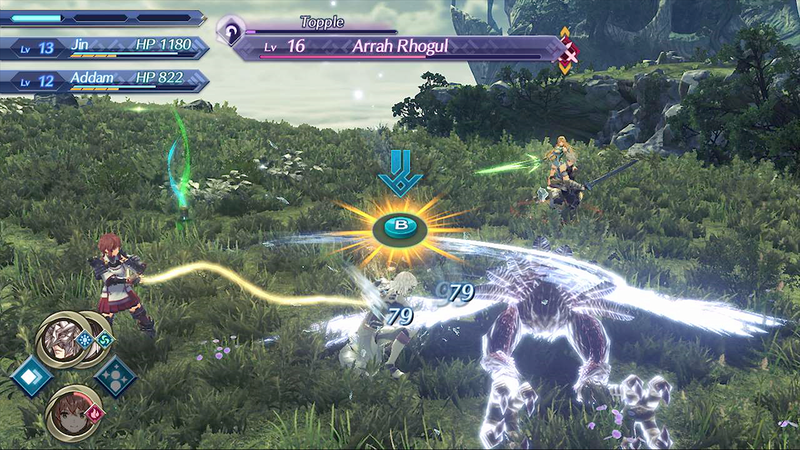 My Take: Torna is the prequel to the smash hit, Xenoblade Chronicles 2, and was released as a standalone retail title to those that didn’t receive it through the expansion pass. 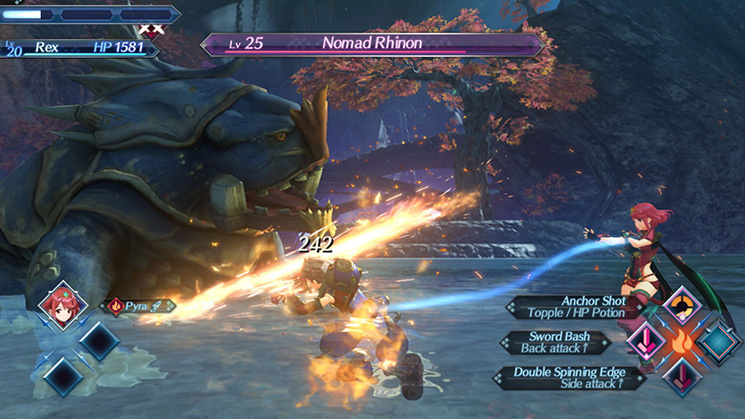 At its core it is more XC2 (which isn’t a bad thing) and features some tweaks and adjustments to previous systems that, for the most part, make it even better than its predecessor from a gameplay perspective. I wouldn’t go as far as to say that you should play it without first experiencing XC2, but it is totally possible if you are okay with being clueless to many references to the main game. Well worth the price of admission, for sure. My Take: Dragon Quest Builders took me completely by surprise when it released on Switch this year. While it might appear as a Minecraft rip-off at first, it offers much more than that in regards to combat, and more specifically, storytelling. It delivers a semi-open world Dragon Quest experience that makes building fun rather than tedious to those that may not be the most enthusiastic about building stuff. 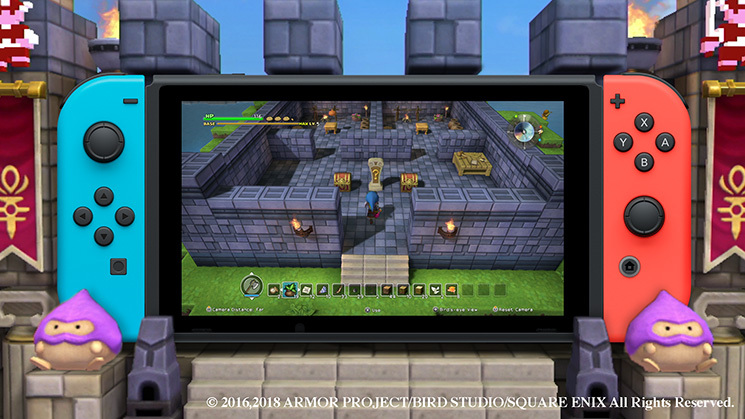 My review of Dragon Quest Builders is available to read here. 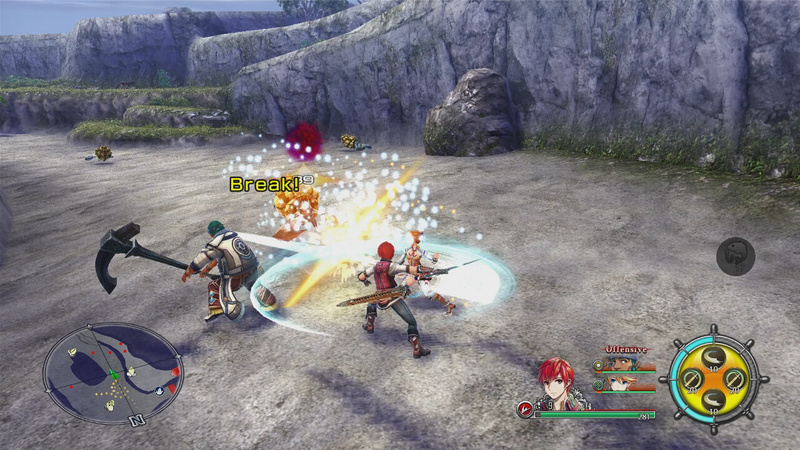 My Take: Ys VIII is easily my top contender for Switch RPG GOTY 2018. Despite donning an aesthetic straight out of the PS2 era, the game has a beautiful soundtrack, compelling story, and flashy, addicting combat. It is a near-perfect package that will have LOST fans saying “we have to go back” before you know it. My review of Ys VIII: Lacrimosa of Dana is available to read here. My Take: Quite possibly the most hyped game in recent years, Octopath Traveler took the world by storm with its stunning visuals, sound, and satisfyingly complex combat. Yes, it lacks the strings to tie all eight stories together in a satisfying way, but is a joy to play if you’re a fan of the older Final Fantasy games or, especially, the Bravely series regardless. My review of Octopath Traveler is available to read here. My Take: Xenoblade Chronicles 2: the game where every boss defeat ends with you still fighting them in a cutscene afterwards! All kidding aside, Xenoblade Chronicles 2 is a masterpiece of a game and very much worthy of its praise. 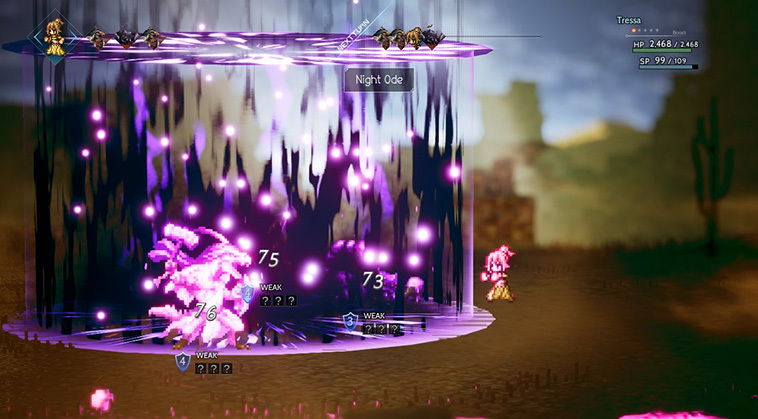 It remains one of the best epic-length JRPGs on the Switch to date despite it being the first big RPG release on the platform. Xenoblade Chronicles 2 served as my gateway into actually leaving english voiceovers on in a JRPG, which is a huge feat in itself. Its Pokemon-like collect-them-all Blade system and deep combat mechanics are sure to keep you entertained for hours on end. My Take: Before Let’s Go! released, I was very much in the corner with all of the other Pokemon veteran skeptics. However, having played roughly 10 hours of it at this point I can say that this game has the potential to appeal to a very wide audience, and even to those that initially scoffed at it. It’s not a mainline Pokemon title, sure, but it’s not quite as watered down as you might think. I won’t go into specifics at this point as a full review is on the horizon, however I do believe it is potentially a worthy buy for both old and new Pokemon fans, and has great drop-in / drop-out co-op capabilities that can accommodate even the greenest of gamers out there. My Take: You may have forgotten about Diablo 3 releasing on Switch with all of the controversy surrounding Diablo Immortal at Blizzcon this year, but I strongly encourage you to re-focus your attention on it again. Not only it is a great port, Diablo 3 is an absolute blast if you enjoy loot-driven action RPGs. The age of the game and its asking price are irrelevant if the enjoyment you get out of it is worth that investment, and in my case it is absolutely worth it. I’m sure I missed many great Switch RPGs, so please leave those down below! I’d also add Mario+Rabbids, I feel like people avoid because of the Rabbids but they aren’t that bad. It’s a great stategy RPG. Even though I experienced a couple of major crashes while playing, still really loved this game. Totally forgot about it, to be honest! Have yet to play it on Switch, but loved it on PC. Great recommendation for sure.